The Panasonic Lumix GX8 is a fantastic ILC, providing great image quality and performance. Offering 4K resolution video with full manual control allows the GX8 to be just as equipped for videographers, as it is for photographers. Read more in our Full Conclusion. 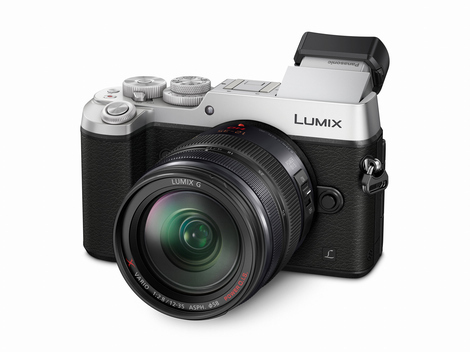 Back in July of 2015, Panasonic announced their 2015 flagship DLSM (Digital Single Lens Mirrorless) model: the LUMIX DMC-GX8. Picking where the last gen GX7 left off two summers ago, the GX8 promises more megapixels, enhanced image stabilization, a faster image processor, improved noise reduction, integrated Wi-Fi & NFC, and 4K Ultra High Definition video recording. The LUMIX GX8 body is both splash-proof and dustproof. It boasts a 20.3-megapixel Digital Live MOS image sensor mated to a quad core Venus Engine image processor to allow for enhanced speed and low light level performance. The ISO sensitivity goes all the way up to 25,600, while the GX8 is able to capture full resolution still images at up to 8 frames-per-second, or 8MP stills at up to 30fps as part of the camera's various 4K Photo modes. Image Stabilization consists of a Dual I.S. system where Body I.S. and Lens I.S. work in tandem to help achieve crisp photos at extended telephoto ranges or when shooting hand held in lower lighting conditions. If you're recording video, the GX8 can record up to QFHD 4K Video (3840x2160) @ 30p or 24p, or Full 1080p HD video at up to 60p. In video mode, the camera utilizes the 5-Axis HYBRID O.I.S.+ (Optical Image Stabilizer Plus) to remove as much camera shake as possible. The GX8 also boasts a Contrast AutoFocus (AF) system with "DFD" (Depth From Defocus) technology to ensure accurate and speedy focus across various modes like Face/Eye Detection AF, Low Light AF, Starlight AF, Pinpoint AF, One-Shot AF, and more. Other features include a high resolution OLED Live View Finder (LVF), as well as a tilting 3.0" LCD monitor for composing shots. Wi-Fi and NFC integration is also a must for modern digicams; like many other systems, the GX8 works with a free app available for Android or iOS devices to not only back up or share files, but to also use the smartphone or tablet as a remote control / display for the GX8. Synchronized with max 1/250 second shutter speed. The Panasonic LUMIX DMC-GX8 is available in two body-only versions -- all black OR silver top with a black bottom -- for $1199.99. See our best price box at the top right of this page for current online pricing.